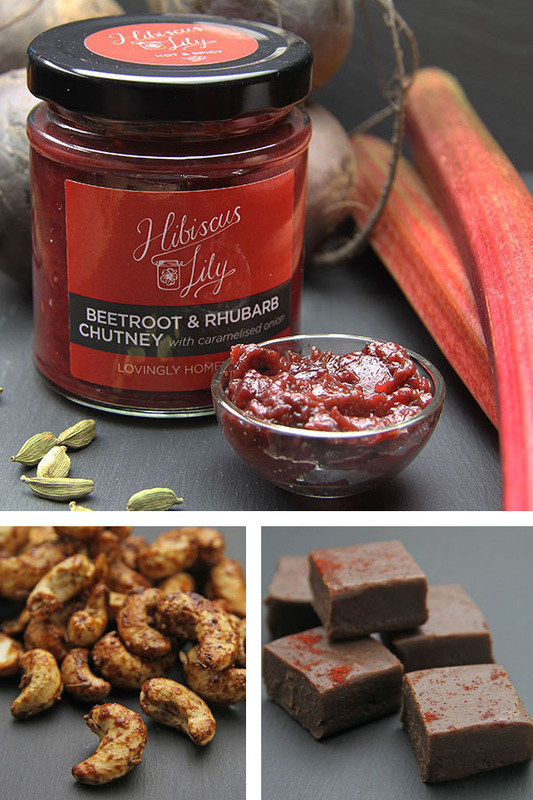 A blend of sweet and spice creates unique flavours throughout our preserves and chutneys, nuts and fudge. All lovingly homemade, with natural preservatives. Kanwal Pattar inherited her passion for food from her mother while growing up in the Punjab region of India. She went on to learn how to blend delicate spices in cookery school, before moving to England’s in 1978. Since then Kanwal has run numerous workshops and courses teaching the traditional ways to cook Indian dishes, sharing her own recipes with her students. In the 1990s she also presented a cookery show on Indian Sky channel Namaste. 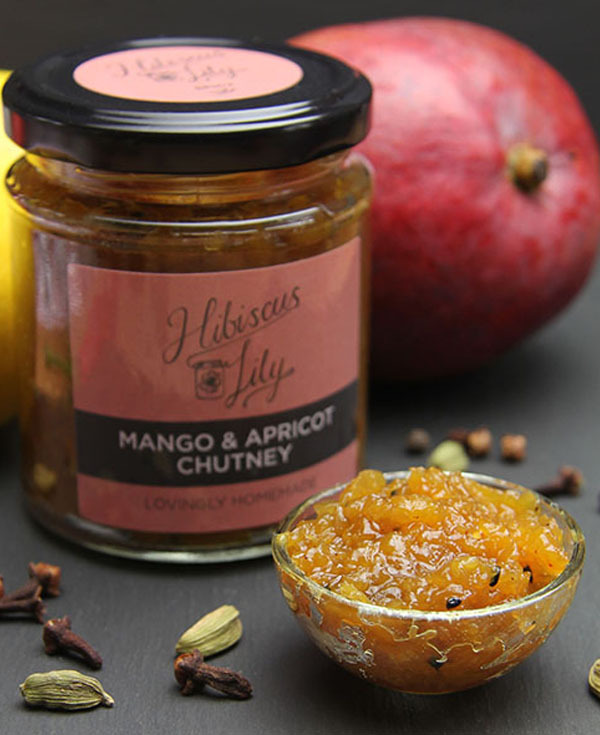 In 2014 Kanwal decided to establish her own range of artisan food products – and so Hibiscus Lily was born. 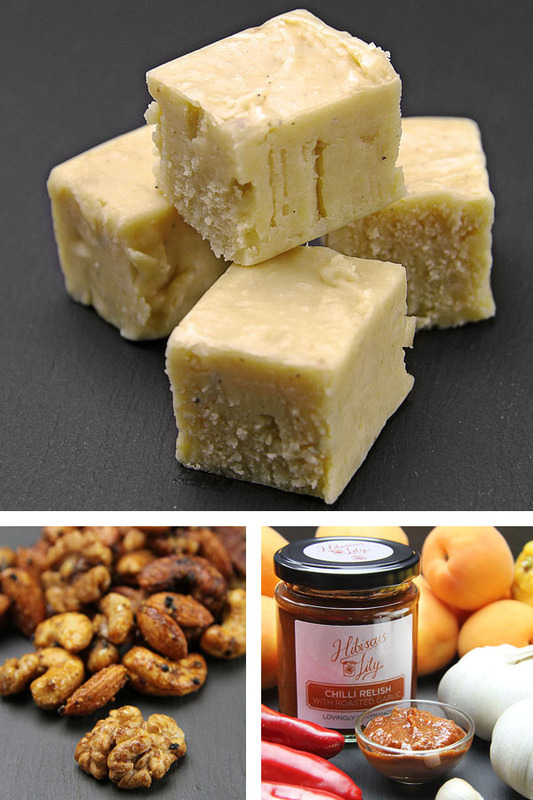 With Indian-inspired cuisine at its heart, Kanwal’s range of delicious chutneys, relishes, jellies, luxury fudge and spiced nuts are all produced by hand in leafy Hertfordshire. With a passion for only using traditional methods and natural ingredients without the use of additives or artificial preservatives, the Hibiscus Lily range is truly authentic. 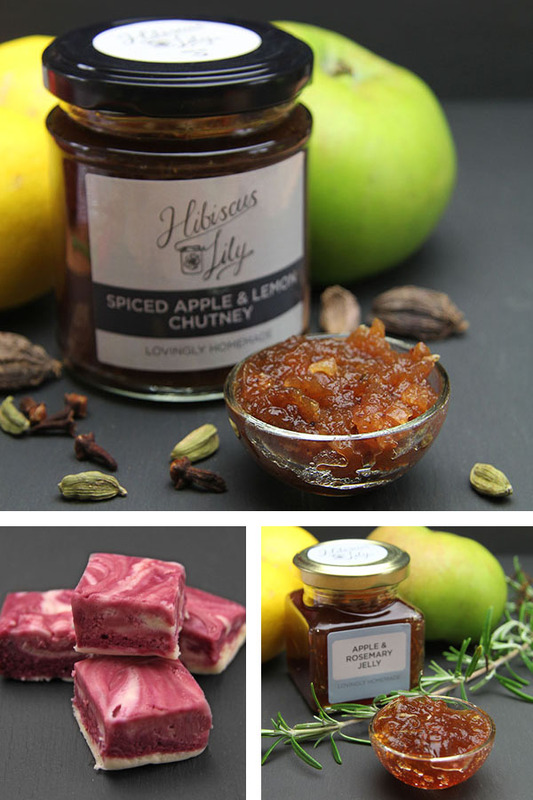 Indeed almost all of the products are flavoured with home-grown herbs and freshly ground spices, with all of the fabulous chutneys and relishes made using only the finest of local ingredients. For those indulgent moments Hibiscus Lily’s wonderful range of fudge offers completely unique flavour combinations, from Cardamom and Coffee to Pistachio and Rose, whilst the fruit jellies make the perfect accompaniment to both hot and cold meats, cakes, cookies and ice-cream. In keeping with a healthy philosophy every product is made and set using naturally unrefined sugar – the way quality food should be!